Countour plot of angular beaming direction from mid-IR plasmonic beam steering structure as a function of incident laser wavelength.
" If anybody says [s]he can think about quantum problems without getting giddy, that only shows [s]he has not understood the first thing about them." The Mid-Infrared Photonics group is a research group affiliated with the University of Massachusetts Lowell Photonics Center. Our group studies mid-infrared (mid-IR) emitters, detectors, and photonic devices for applications in Defense and Security, Sensing, and Communications. Please use this website to learn more about our lab and our research. If you have any questions about the group, the Photonics Center, or the UMass Lowell Department of Physics and Applied Physics, feel free to get in touch! 3-31-2011: Congratulations to Troy Ribaudo after his successful thesis defense today!!! 1-25-2011: Professor Wasserman wins NSF CAREER award. Quantum Dots" is published in Nano-Letters. Congrats David and Troy!! 11-21-2010: Josh's paper "Selective Emission from patterned steel" is published in Optics express. Congrats Josh!! 9-15-2010: David S. wins the Physics Department First Year Graduate Student Award. Congratulations David!! 5-21-2010: David A. 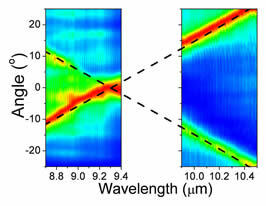 's Plasmonic Mid-Infrared Beam Steering paper published in Appllied Physics Letters! 5-12-2010: Troy Ribaudo wins the 2010 Top Graduate Student in the Physics Department Award. Congratulations Troy! 3-23-2010: Xifeng's nanolithographically defined QD paper published in J. Vac. Sci. Technol. B! 3-18-2010: Photonics Center hosts the second UML Photonics Center Physics Activity Day Challenge! 10/22/09: Dr. Wasserman wins AFOSR Young Investigator Award.